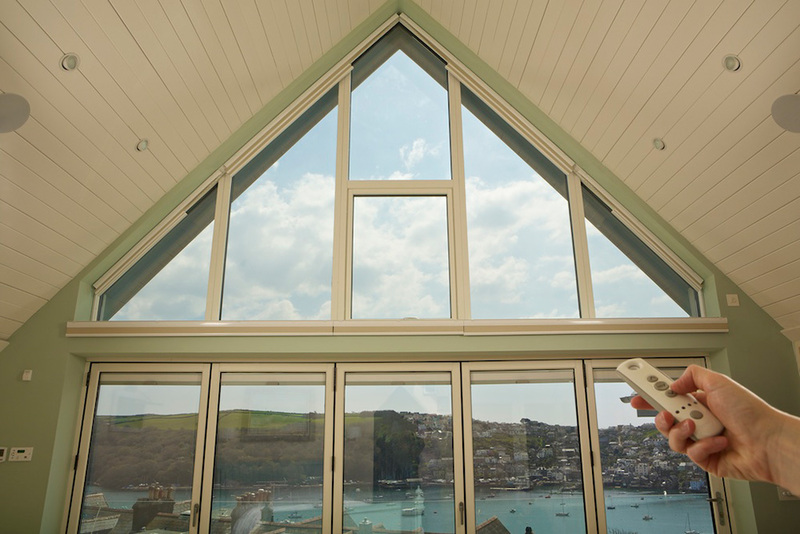 There is an increasingly popular trend amongst architects and designers for large glazed gable end windows often to take advantage of fantastic views. But they have always been difficult to shade. 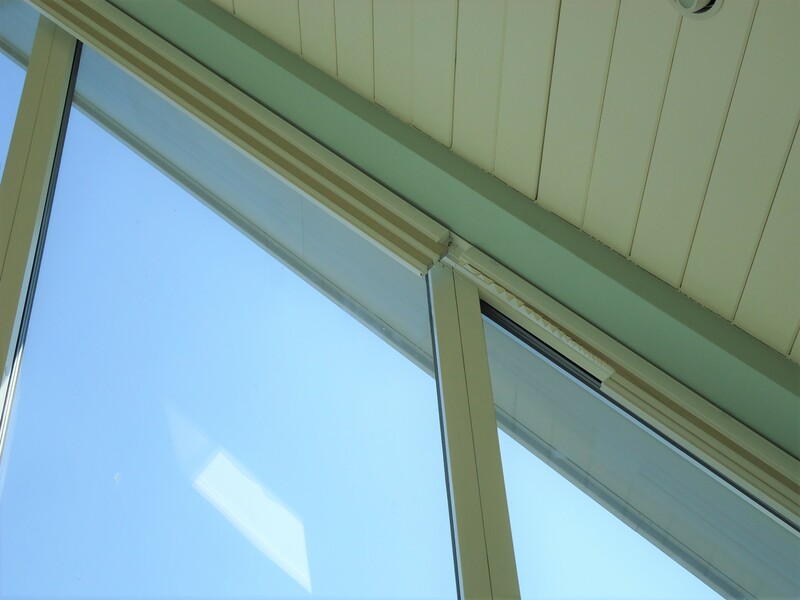 Traditional shading solutions always came with compromises: curtains would billow and roof blinds needed guide wires or cords. 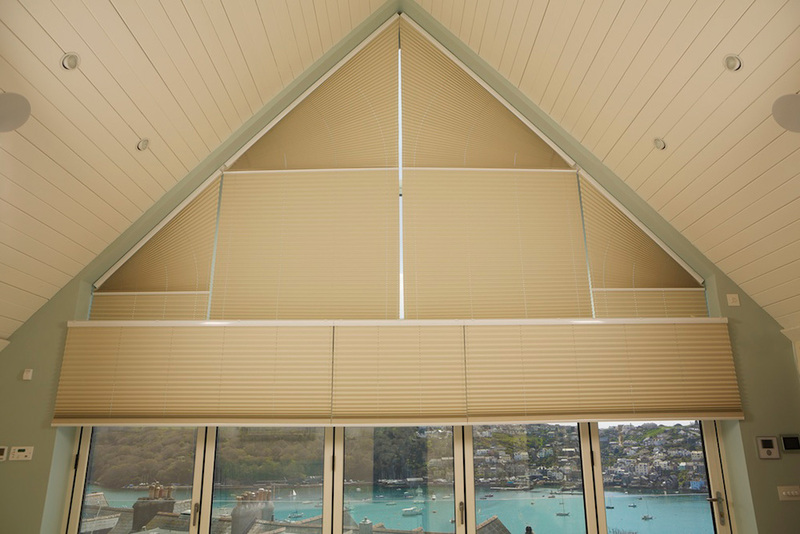 Appeal has launched the ClearView gable end pleated blind. This unique and exclusive solution overcomes these compromises providing a neat, attractive and functional solution to cover such large gable ends. 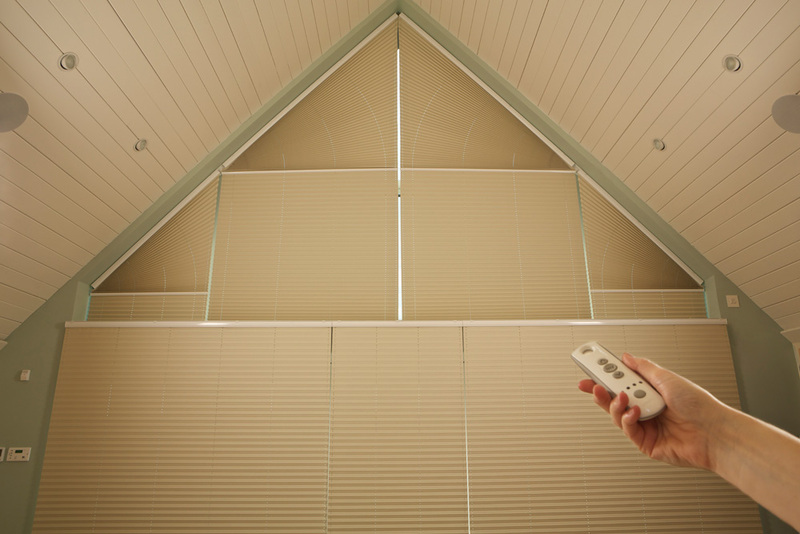 The blinds then retract completely when not required leaving an unobstructed view. 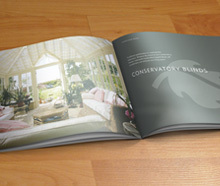 It is specifically aimed at conservatories, barn conversions and extensions with a shaped end. 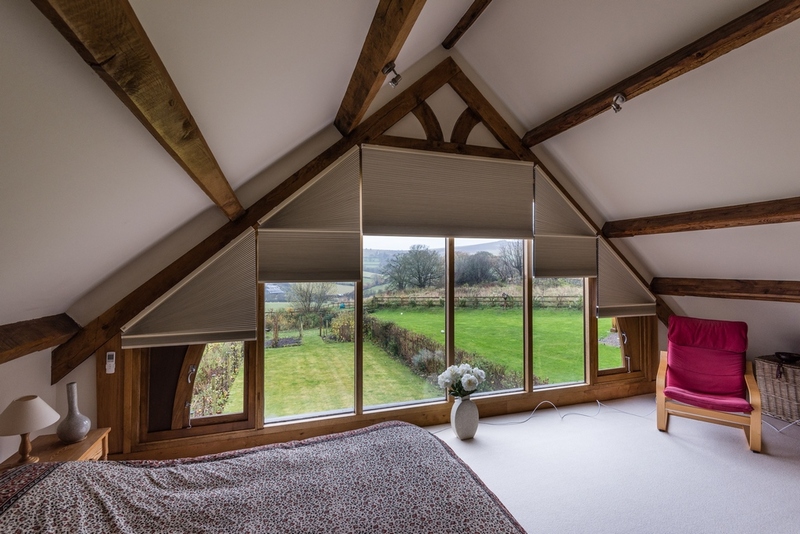 The ClearView blind is available with ULTRA Smart Blinds one-touch remote control electric operation and in a wide range of colours and a blackout option. 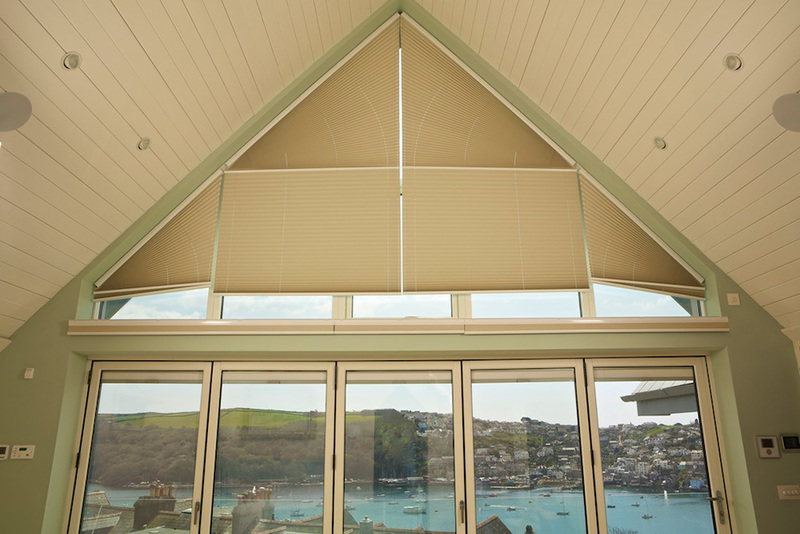 For the ultimate in heat reflection and insulation the ClearView blind is available in Appeal’s exclusive Alu-Pleat® fabric. It will retract virtually out of sight leaving an uninterrupted view.